Roberts makes the hard choices to condense Churchill’s life into less than 1,000 pages. F.E. Smith, 1st Earl of Birkenhead and a friend of Winston Churchill's, summed up the iconic British statesman this way: "Winston was often right, but when he was wrong, well, my God." Smith died a decade before Churchill got the one thing right that would cement him forever as Americans' favorite Briton—namely, rallying a tiny island nation to stand alone against Nazi tyranny until the Soviet Union and the United States entered World War II. Today, he is feted annually by Churchill societies across the U.S., with dinners and lectures on or around his Nov. 30 birthday. 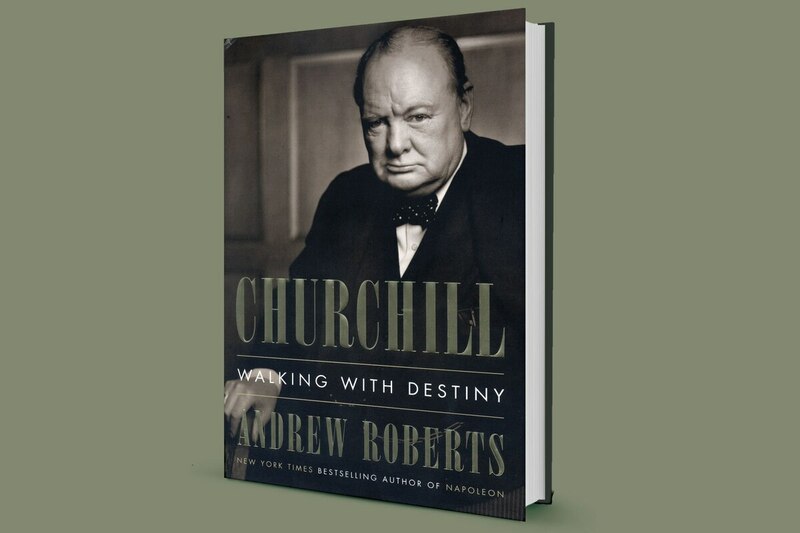 This year, the Chartwell Society of Oregon, in partnership with the Oregon Historical Society, welcomes British historian and biographer Andrew Roberts, author of Churchill: Walking With Destiny (Viking, 1152 pages, $40). Martin Gilbert and William Manchester took multiple volumes to tell Churchill's story, but Roberts' is that bravest of Churchill books, a single-volume biography. Roberts makes the hard choices to condense Churchill's life into less than 1,000 pages, plus notes, and hardly one of those pages goes by without some fascinating anecdote or witty observation, not all of them from Churchill himself. Roberts' narrative roams widely but intelligibly between the formative elements of Churchill's life and later events in which they would prove so invaluable. Besides Churchill's well-known capacity for oratory, two qualities about the future prime minister and war leader are immediately striking in Roberts' book: Churchill's prodigious memory for words and his prescient vision of future events. Not only could he recite epic poems of 1,200 lines and quote whole scenes of Shakespeare, he could recall, 37 years later, the exact words of a searing letter his father, Lord Randolph, wrote castigating him for getting accepted into the cavalry instead of the infantry at Sandhurst, Britain's West Point. His American mother, Jennie, could be equally aloof and cruel, complaining her son never wrote, though he did, ceaselessly. Churchill's prescience in recognizing what the rise of Nazi Germany meant for Europe is well-known, but his uncanny ability to foresee the future, Roberts asserts, stretched back much further. The author recalls how, in 1891, well before the First World War, Churchill told a friend he foresaw "great upheavals," "terrible struggles" and "wars such as one cannot imagine" in which London would be threatened with invasion and he would be placed in charge of its defense. Churchill affirmed to the friend, "I repeat—London will be in danger and in the high position I shall occupy, it will fall to me to save the capital and save the Empire." True story or the time-enhanced memory of an aging bureaucrat at the War Office? Roberts insists the anecdote is credible. Churchill himself, however, did not always take the reading of political tea leaves so seriously. When asked as a fledgling member of Parliament to name qualities desirable to politicians, Churchill replied: "The ability to foretell what is going to happen tomorrow, next week, next month, and next year—and…to explain why it didn't happen." And there were many things Churchill got terribly wrong. The most infamous was the Gallipoli campaign—an ambitious plan by Churchill, then first lord of the admiralty, to break the stalemate of World War I by attacking Turkey. The disaster cost the lives of more than 30,000 soldiers of the British Empire and 17,000 French. Churchill resigned the admiralty and served in the trenches on the Western Front as a major in the army. A similar result might have been expected in the next war after the failure of the Norway campaign, also planned by Churchill, back again at the admiralty after Germany invaded Poland, proving his warnings about Hitler were right. This time, however, Churchill's comedy of errors to liberate Norway toppled Neville Chamberlain as prime minister and put Churchill in his place, even though Churchill firmly backed his former, appeasing rival before the House of Commons. "If he was merely acting," Roberts writes, "it was the performance of a lifetime." In the balance, Roberts convincingly demonstrates that Churchill got it right more times than he got it wrong. "The important point about Churchill in 1940 is not that he stopped a German invasion that year," Roberts writes, "but that he stopped the British Government from making peace." So yes, Winston was often wrong. But when he was right, well, my God. SEE IT: Andrew Roberts lectures at First Congregational United Church of Christ, 1126 SW Park Ave., ohs.org, on Wednesday, Nov. 28. 7 pm. $20, $10 for OHS and Chartwell Society members. 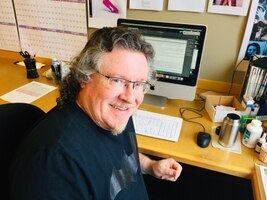 Matt Buckingham Joined Willamette Week as a copy editor in 1992. He rejoined WW after a three-year hiatus in 1999. He also reviews books for the newspaper. He has nothing against the Oxford comma, as long as there is a reason for using it.